On 3 May 2002, German Security authorities issued a warning they that Islamic terrorists could be planning to hijack passenger ships cruising in European waters, but said they had doubts about the information’s authenticity. The Federal Criminal Office said it was investigating the information and had alerted authorities in other European countries. The statement added that there was no detailed information on the alleged targets, but said a suicide attack could possibly accompany such an action. German authorities had stepped up efforts to track down Islamic militants since the Sept. 11 attacks on the United States, which were planned by a Hamburg-based terror cell. The alert concerning passenger ships was presumably based on the ongoing interrogation of nine men arrested on 23 April 2002 in a sweep against a suspected Islamic terrorist cell in Germany. One of the leading radical Islamic groups of Sunni Arabs is the Muslim Brethren, whose two largest European centers are in Munich (headquarters of the Egyptian branch) and Aachen (under the influence of the Syrian branch). Though little separates the two ideologically, they are distinguished by being subsidized and influenced by two separate branches. Members of the Muslim Brethren have to-date not been involved in violence outside their native countries. However, their activities in Europe are not confined to carrying out Friday prayers or monthly meetings, but also include training courses, and an annual congress attended by radical Islamic clerics from abroad. The Muslim Brethren distributes publications of radicalism and incitement drawing attention to the political conditions in such countries as Afghanistan, Pakistan Bosnia and Algeria, as well as among the Palestinians. In 1982, members of the Muslim Brethren founded the Islamic Federation of Palestine (IBP), which is the representative of Hamas (the Islamic Resistance Movement) in Europe. IBP carries out extensive propaganda, circulating Hamas declarations and (sometimes with Islamists of other nationalities), staging large-scale demonstrations in support of their cause. The Muslim Brethren’s centers are contact points for all other regional branches of the group, such as Algeria’s Islamic Salvation Front, al-Qaida, Hizballah, al-Tawhid, and others. Those centers operate Muslim charity funds a channel being used for transferring money to radical Islamic terror groups in Germany and other Jihad fronts around the world. On November 2001, the first arrests directly related to the Sept. 11 attacks were carried out in Germany. Police in Hamburg arrested a 27-year-old Moroccan student, Mounir El Motassadeq, who they say moved large amounts of money for a terrorist cell led by key hijacker Mohamed Atta, and who may have visited an al-Qaida terrorist camp in Afghanistan in the summer of 2000. He was taken into custody after weeks of surveillance. German police have long known that much of the Sept. 11 plot was organized in a third-floor walk-up apartment in Hamburg. After Sept. 11, Motassadeq quickly came under suspicion when German authorities discovered that he had power of attorney over a bank account in the name of Marwan Al-Shehhi, another former Hamburg student who was aboard the second plane that struck the World Trade Center. German officials said that from May to November 2000, “large sums” of money were deposited regularly into Al-Shehhi’s bank account. Al-Shehhi left for the United States in May 2000, leaving Motassadeq to manage the account. According to investigators, this money financed members of the Hamburg cell, including payments for flight lessons and living expenses in the United States for Al-Shehhi, Atta and a third Hamburg-based hijacker, Ziad Samir Jarrah, originally from Lebanon. Last year, German authorities say, Motassadeq also transferred money to Ramzi Binalshibh, a Yemeni who fled Germany shortly before Sept. 11. Senior German officials identified a group of five people in Hamburg who they believe provided financial and other support to some of the hijackers. Motassadeq is believed to be one of them. The remaining four remain under surveillance while police attempt to build cases against them. Hamburg, Germany, was the “central base of operations” for the associates and at least three of the hijackers as they planned the attacks. German intelligence agencies were caught flat-footed by the Sept. 11 attacks, despite the alleged lengthy planning that went on in Germany. “We failed to see it before [Sept. 11],” German Interior Minister Otto Schily said, “but to be very open-minded, we all failed to see it before. On 11 April 2002 a tanker full of natural gas exploded outside the oldest synagogue of Djerba on the Tunisia Resort Island. Germany’s interior minister, visiting Tunisia to check up on the investigation, said his country was convinced that the incident was a terrorist attack. The blast killed 16 people, 11 of them German tourists. Germany has raised the possibility that Osama bin Ladin’s al-Qaida terror network was behind the explosion. If confirmed, it would be the first successful terror attack by al-Qaida since Sept. 11. The London-based pan-Arab dailies Al-Quds Al-Arabi and Al-Hayyat said they had received a claim of responsibility from a group calling itself “The Islamic Army for the Liberation of the Holy Sites,” which praised bin Ladin as a “source of inspiration” and referred to him as the “warrior sheik.” This was the same name as that under which responsibility was claimed for the 1998 bombings of U.S. embassies in Kenya and Tanzania. On 23 April 2002, German police arrested nine members of a Palestinian organization suspected of plotting attacks. The suspects were detained in raids on twenty locations, including houses in Berlin, Munich, Essen, and Duesseldorf. They are all suspected members of the German cell of the Sunni Palestinian “al-Tawhid” movement, a fundamentalist group supporting Islamic “jihad”, or holy war. According to the prosecutor’s office, the German cell was primarily involved with supplying fake identity documents and gathering donations. However, it had initially helped to provide logistical aid for fighters campaigning against Western forces in Afghanistan. During the raids, computers, software, forgery equipment and bundles of written documents were seized. The raids in cities across Germany turned up numerous Islamic Jihad propaganda videos, falsified papers and passports, a handgun, and many mobile telephones and phone cards. The spiritual leader of the loosely coordinated al-Tawhid group is Abu Qut, a Britain-based Muslim cleric suspected of links to Osama bin Ladin’s al-Qaida organization. A Jordanian of Palestinian descent, Abu Qutadah was convicted in absentia in 2000 by a military court in Jordan on charges of conspiring to attack U.S. and Israeli targets. Security officials estimate that some 3,500 Arab militants live in Germany and raise significant sums of money for Islamist organizations, including Osama bin Ladin’s al-Qaida and the Palestinian group, Hamas. There are also a number of networks providing counterfeit documents and safe haven for militants. The German government pushed through a series of anti-terror measures after the Sept. 11 attacks, which authorities linked to a terrorist cell in Hamburg. Three of the suspected suicide hijackers lived and studied in the city before going to the United States. German lawmakers passed on 26 April 2002 a key measure designed to make it easier to arrest members or supporters of international terrorist networks, completing an anti-terror package sparked by the Sept. 11 attacks in the United States. On 9 November 2001, Germany’s governing parties adopted new anti-terrorism measures aimed at preventing potential terrorists from using the country as a base of operations. The package will provide for closer scrutiny of asylum seekers, with provisions for withdrawing the asylum status of anyone who endangers the security of the state. It was agreed that some of the measures adopted should apply only for a five-year period, after which time they would be subject to further parliamentary review. A controversial proposal to allow federal police to investigate individuals and carry out searches without a court warrant was dropped. * Digital “fingerprints” may be printed in German passports to thwart counterfeiters. * Refugees given asylum in Germany may have their status withdrawn if it is proven that they represent “a serious risk to internal security” or were guilty of crimes against humanity in their own countries. * Police will have more power to check the identity and background of applicants for visas or asylum, and to expel anyone trying to mislead them. * Federal officials may outlaw any religious organizations in Germany that abuses its status to engage in criminal activities. * Sentences will be reduced for principal witnesses in return for cooperation with police in terrorism cases. * Armed “sky marshals” may be placed on airliners to prevent hijackings. The package follows previous anti-terrorism measures adopted on September 19 after the U.S. attacks. Among the measures then approved was the launching of investigations into members of foreign extremist organizations. The government has already pledged to spend $1.4 billion toward a crackdown on terror groups. Laws that outlawed only German-based terrorist groups, a measure aimed against left-wing urban terrorism of that time, had long hampered Law enforcement officials. The change expands the law to explicitly cover people in Germany who finance or are members of foreign-based terrorist organizations, too. The main threat to Western Security are Muslim terror infrastructure already exists in large European cities such as Paris, Marseilles, Cologne, and Berlin, and they continue to grow with new immigration. Radical Islamic indoctrination thrives when the residents of such places consider themselves to be socially and politically disadvantaged. This potential already exists; it could attain a critical mass and lead to destabilizing influences in Western countries, a development to be welcomed by Islamist strategists. The recruitment possibilities for terrorist operations among discontent Muslims in Europe must be considered high. The intelligence services, whose task it is to obtain information and thwart attempts of Islamic groups, must work closely and cooperate intensively with each other. So far, such cooperative efforts have had fairly good results, uncovering secret organizations and, in many cases, resulting in the prosecution and sentencing of operatives. These initial successes, in turn, have a deterrent effect. Since the extremist Islamic organizations are active across borders, the cooperation of Western intelligence services is of crucial importance. We can assume that not all terrorism comes from al-Qaida. The organization is the provider of the impulse, but there are isolated loose groups around the world – “The Afghan Alumni” that do not require a direct command or to be steered by Osama bin Ladin. There are often links, but this is a very loose grouping posing a great challenge to counter terrorism efforts. The intelligence services, whose task it is to obtain information on the covert attempts of Islamic groups, must work closely and intensively with each other. So far, such cooperative efforts have had fairly good results, uncovering secret organizations and, in many cases, resulting in the prosecution and sentencing of offenders. These initial successes, in turn, have a deterrent effect. Since the extremist Islamic organizations are active across borders, the cooperation of Western intelligence services is of crucial importance. Counter-terrorist operations are also a battle for minds; the psychological dimension of the war against terrorism is an important one. Once the terrorist’s bullet has left the barrel, it is difficult, if not impossible to stop it, particularly when the target is chosen by random. Thus, counter-terrorism must be pro-active, rather than merely reactive. Public opinion as part of an effective counter-terrorist strategy is also important among the citizens of the nation affected by terrorism. Here, the key will be to establish a learning process about the motivations and the long- and short-term interests of the terrorist organizations. This can give rise to psychological and practical recommendations for daily life. 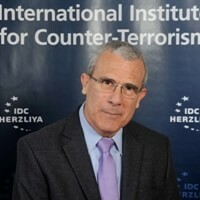 While it is the task of the international law enforcement to thwart terrorism to its source and intercept future terror attacks, it is acknowledged that this is a difficult task, with no guarantee of complete success. And yet, while it may not be possible to eradicate terrorism, we can lessen its effectiveness. It is up to governments and communities affected by terrorism to minimize the success of terrorists in achieving their aims, by not allowing themselves to be pawns in the terrorists’ game. Education drives public opinion, which in turn drives national policy. Proper public education and awareness—in conjunction with multiple levels of counter-terrorism policy, strategy and tactics—plays a major role in helping a country maintain the integrity, conviction and wisdom needed in order not to be swayed by the threats of terror. While all experts agree that terrorism is a psychological warfare—and that its effectiveness is dependent upon the moral and the psychological damage it causes—so far national institutions have done little to counter the psychological impact of terrorism.